Hello everybody..the rumors are true – the indefatigable Jaboury Ghazoul has stepped down as Editor-in-Chief of Biotropica, and I will be trying to fill his shoes starting August 1, 2013. 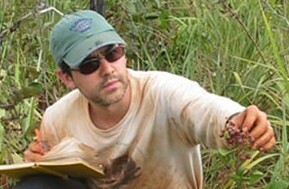 Our journal is recognized for publishing some of the most innovative and important research in tropical biology and conservation, and this is no small part due to the efforts of Jaboury and the EICs that preceded him. I am looking forward to working with Marielos, Wendy, Bryan, the Editorial Board, and the staff at Wiley to continue the initiatives Jaboury put in place, as well as to implement some exciting new ones…stay tuned to learn more about these in the coming months. A little about myself: I am a Professor at the University of Florida, where I have a joint appointment in the Department of Wildlife Ecology and Conservation and Center for Latin American Studies, where I also serve as Director of the Florida-Brazil Linkage Institute (you can find out more about the research my students and I do on our lab web page). I have been active in the Association for Tropical Biology and Conservation since 1999, when W. John Kress first invited me to give a talk about my doctoral work in a symposium at the annual meeting in St. Louis, Missouri. I joined the Editorial Board of Biotropica in 2007, and began a term as Associate Editor in 2010. I’m an author too: seven papers in Biotropica, many of them the results of collaborations with students. This blog is one of our new initiatives, so I hope to share more about myself and Biotropica as we move forward with it. For now, please join me in thanking Jaboury and wishing him well as he takes a well-deserved vacation! Bem vindo, Emilio! and many thanks in advance for your taking on this key position. Thanks to you both…now I have to get back to work! Emilio rocks! EICs have a tough job, and I’m sure he’ll do it well.